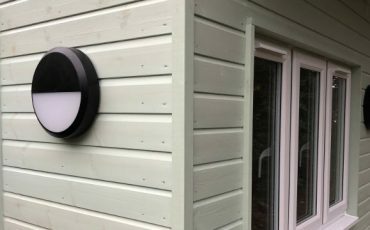 A project recently completed by the electricians from Leigh Electrical on an external property / summer house in Chelmsford. 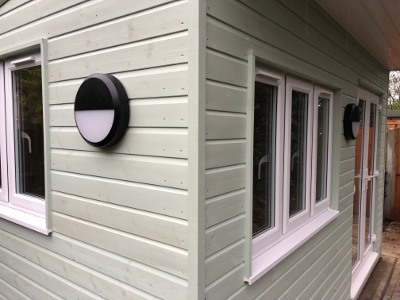 The project included the actual connection of the outbuilding to the main houses electrical supply, installation of plug sockets and lights as well as the install of external lighting as pictured above and below. All of the works had to be completed over two distinct phases so as to allow other tradesmen involved in the work to complete their sections. 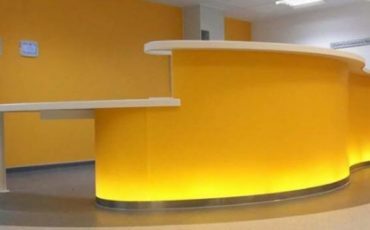 Leigh Electrical have significant experience in liaising with the other trade people involved in works such as these which helps to bring projects to their proposed deadlines quickly and efficiently. As with all Leigh Electrical outdoor works, the whole project was covered under the NICEIC Platinum Promise Guarantee. The Platinum Promise is offered by the NICEIC to all domestic electrical work completed by their members. To speak to our team regarding summerhouse or outbuilding electrical installations, please call us directly on 01702 873350. Leigh Electrical hold significant experience of completing external electrical works of all kinds in Chelmsford and the surrounding Essex area. For over 50 years Leigh Electrical have been performing works of this nature, on time and on budget for a wide variety of both domestic and commercial clients. We offer a wide range of electrician services in Chelmsford and beyond and the quality and value of the electrician service we provide in the area has been commented on numerous times on both Checkatrade and Trustatrader. 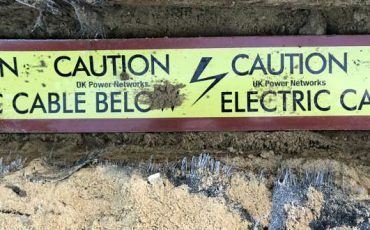 Our electricians are CRB checked, which offers some of our customers additional peace of mind and we hold full public liability insurance up to the value of 25 million pounds. We have a wide variety of previously completed works available to view here on our projects page. 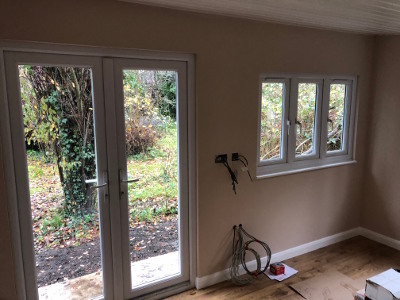 This showcases the superb finish Leigh Electrical apply to all of our works and also the wide variety of electrician works that we undertake. Our electricians operate in and around Chelmsford, 7 days a week, including evenings. Please phone us on 01702 873350 to arrange aquote and speak to our team about your outbuilding electrical installation. Chelmsford Summerhouse electrical connection and fitting. For a free quote please call Leigh Electrical directly on 01702 873350.